If your business offers WiFi to customers at one or more physical locations, or if you use security cameras, you’re sitting on a gold mine of information. 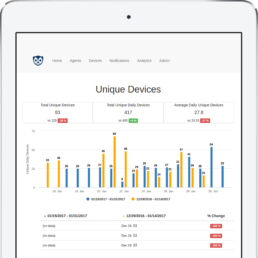 Customer usage patterns, ideal times to schedule maintenance, and seasonal trends are just the beginning of what you can learn from information already available on your WiFi network and security camera feed. Getting this information out of the IT equipment and into the hands of decision makers enables them to quickly make improvements. This is a new and evolving space, but here’s a quick overview to introduce you to what’s possible with presence analytics. Who is using Presence Analytics? Several different industries in both the public and private sectors are utilizing this new technology. Anyone responsible for creating a great experience for members, customers, or visitors at a physical location can benefit from presence analytics. Retailers are using this information to identify what sections of a store are most visited by shoppers. Maker spaces are identifying how many events prospective customers attend before joining the space. City governments are increasing the engagement levels at public buildings by tracking which programs are most attended. How does Presence Analytics work? Each method has specific advantages. But, for this overview, just remember that each of these can be measured for customer insights. What information can you learn? The more information that you have about your space, the better you can manage that space. The information you can learn from presence analytics can help you make decisions about many areas of your business, including marketing, operations, and customer experience. Is our most recent marketing campaign bringing in primarily new visitors or existing customers? What time of day do we need to add staff and when can we cut back? Are customers spending more time in my business than they were before? These questions and more are the types of questions people are starting to answer through wireless analytics. If you’re looking for answers to these types of questions for your business, you might want to look into presence analytics too.